The TPP Series 6" panel mount touchpad unit provides both conventional X and Y-axis cursor movement with plug-and-play, multi-finger gesture support for enhanced user interaction. The design allows for easy cleaning, decontamination, and maintenance - ensuring continued optimum performance and operation under the harshest of conditions. 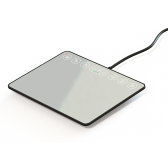 The 6" touchpad offering incorporates eight capacitive touch shortcut keys for more efficient workflow in Windows and Mac operating systems. The unit has been designed to be back of panel mounted as part of OEM keyboards and consoles. 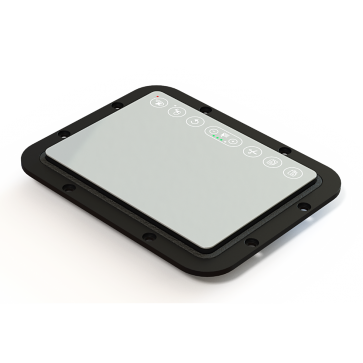 To request a technical specification / data sheet for the Cursor Controls TPP Series Touchpad, please click on the pdf icon below. These are just some of the applications for the Cursor Controls TPP Series in various industries. The potential applications extend further than those shown above. For further information about the Cursor Controls TPP Series Touchpad or to check if the product is suitable for you application, please contact us. To obtain service under this warranty, the warranty-eligible product, Cursor Controls TPP Series Touchpad, must be presented to FB Peripherals Limited in the UK.